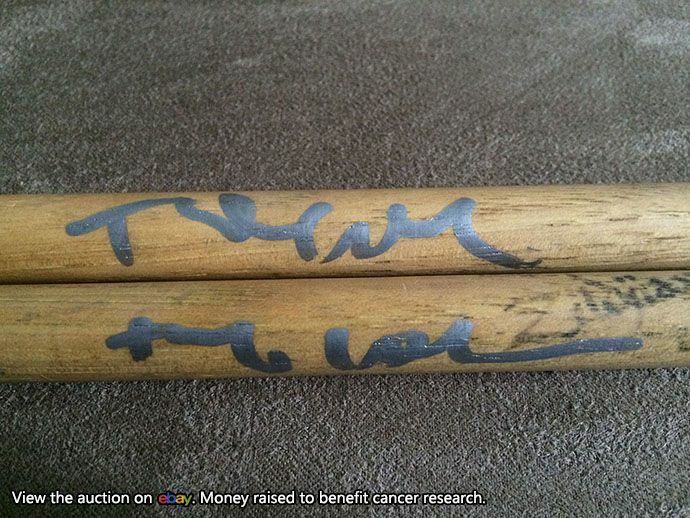 We are auctioning off this pair of Zildjian drumsticks autographed by Tre Cool. Money raised from this auction will be going to the Cancer Research Institute. These were autographed by Tre Cool at a meet-and-greet in New York City on the release day of 21st Century Breakdown, May 15, 2009. Click the image to view the auction and more photos. These items were donated to us by David Burgos (@ElGatoDeFelix), who got them signed at that meet-and-greet. Our thanks to him for helping us raise money for cancer research.